Welcome to the Picturesque Tug Hill Plateau! View of Fish Creek from the Blossvale Rd. bridge. beginners to advanced, “The Fish” can entertain outdoor lovers of all kinds: Enjoy a leisure afternoon of trout fishing on the banks of our resort or just upstream. 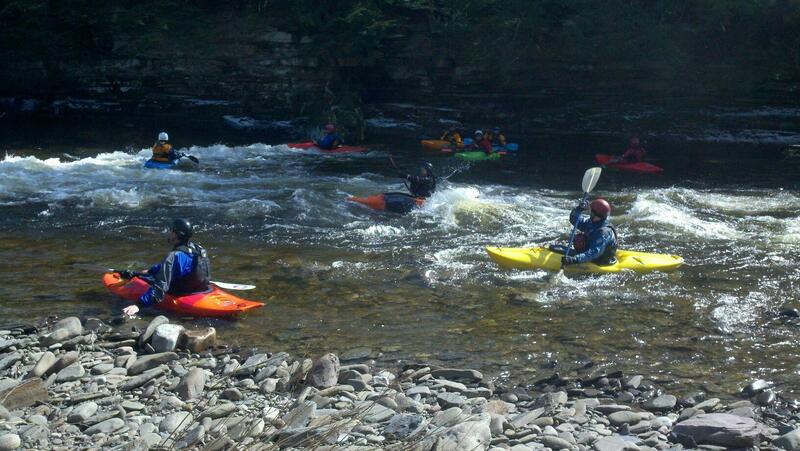 Experienced white-water kayakers can “play” on our Class II-V rapids. Calm-water kayak a secluded run on a neighboring part of Fish Creek or local state parks (kayak rentals are available on site). Fish for bass, walleye and more on the famous Oneida Lake. Partake in a walk through the nearby historical Fort Stanwix National Monument. Hike the Rome Sand Plains Unique Area, or neighboring Black River Environmental Improvement Association (BREIA) trails. Want a weekend challenge? 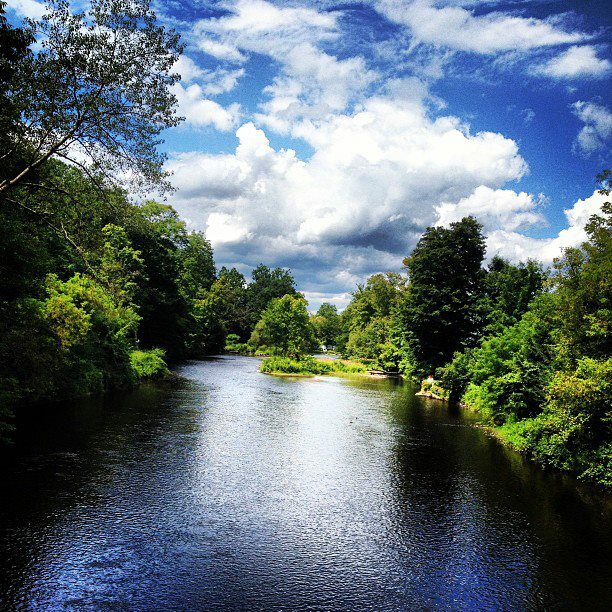 Hike the North Country Trail from Fort Stanwix to the Rome Fish Hatchery. For an extended list of activities, view our Spring/Summer To Do. 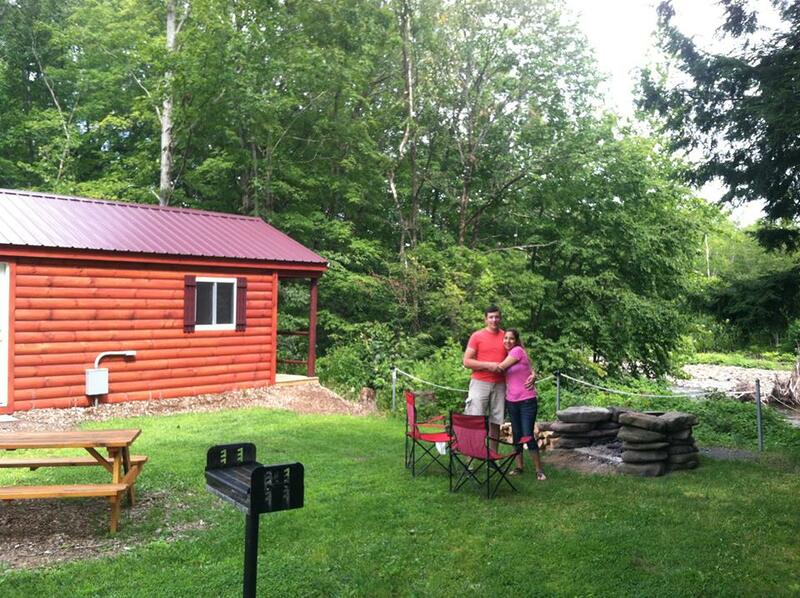 Our guests enjoying their stay in our “honeymoon” cabin Annsville. Plan your spring or summer getaway today! With a variety of cabins available, we can recommend the optimal choice that will best accommodate your needs. Have a question or ready to book your stay? We had a very peaceful and relaxing time during our stay at the Blue Heron cabin. The cabin was cozy, clean and amenities suitable to the outdoor atmosphere. We particularly liked the idea of our own campfire, grill and picnic table, We even visited Delta Lake State Park which was in close proximity. Overall it is worth a second visit. We stayed in the Annsville cabin. Very clean and quite. Just bring your bedding and towels, everything else was there (pots, pans, silverware, dishes). There is a very nice little community area by the office, plenty of chairs, tables and a small bar area. We enjoyed our stay and would recommend it to anyone who is looking for a very quiet place. Also, kayak and tube rentals are available right on the premises. Nice place, especially if your looking for QUIET.